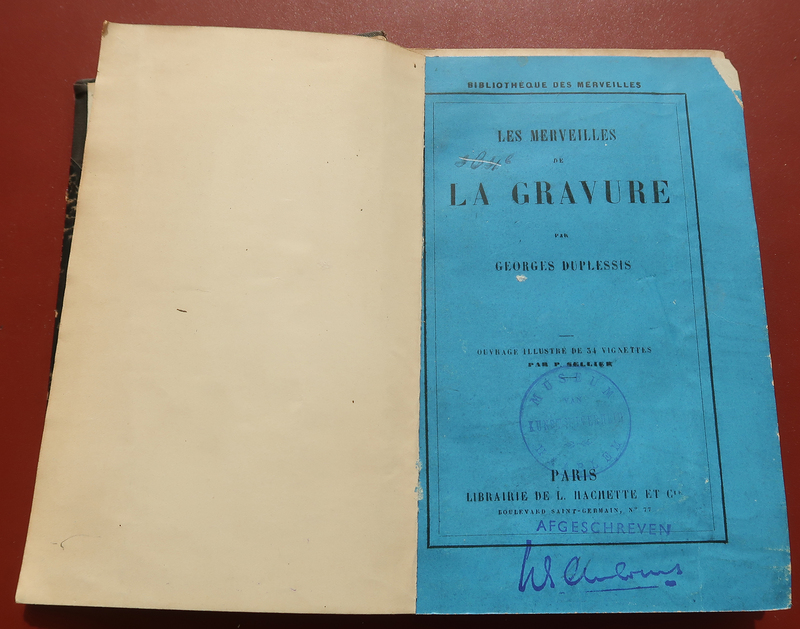 Subject: Antique book, titled: ''Les Merveilles de la Gravure.'' - Illustrated with 34 wood engraved plates by P. Sellier. Condition: Good, given age. Library tickets on the spine. Spine faded and soiled. Corners bumped. Title and flyleaf detached, some foxing in the page edges. Library stamp (of the Museum van Kunst-Nijverheid Haarlem) on the opening and title pages. General age-related toning and/or occasional minor defects from handling. Please study scan carefully. 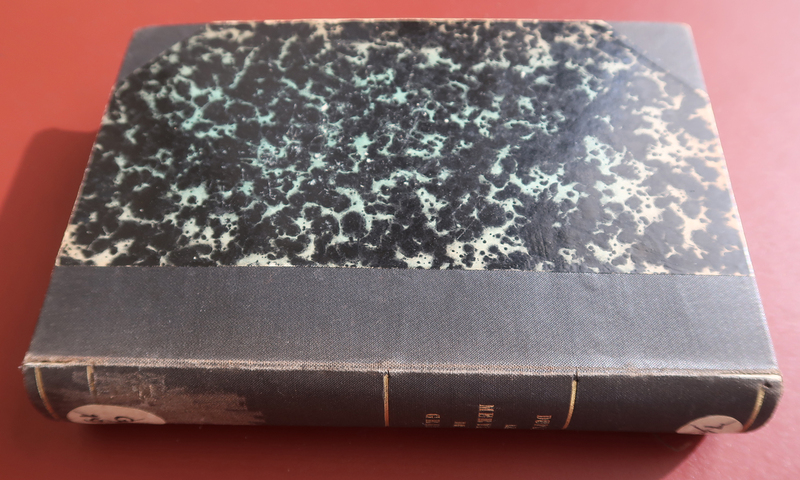 Medium: Letterpress and wood engraving on Half cloth over marbled boards, contemporary library binding paper. Size (in cm): The overall size is ca. 12.8 x 18 cm. The image size is ca. 12.8 x 18 cm. Size (in inch): The overall size is ca. 5 x 7.1 inch. The image size is ca. 5 x 7.1 inch. Description: Published in Paris: L. Hachette, ca. 1870. Artists and Engravers: Author: 'Georges Duplessis'.